Looking "where to sell my BMW E30?" Ask the Chicago Car Club! Are you wondering "where to sell my BMW E30 ?" The Chicago Car Club is interested in classic cars of all makes and models, especially a BMW E30. We make the process of selling your BMW E30 quick and painless. In just a matter of hours we will have your classic valued and, if you do so choose, turned into money in your pocket. All it takes is a phone call or electronic inquiry to get the ball rolling. BMW began to roll out the E30 body style in the early 1980s, following the E21, the first of the brand’s famous 3-Series. The E30 quickly started to gain popularity. 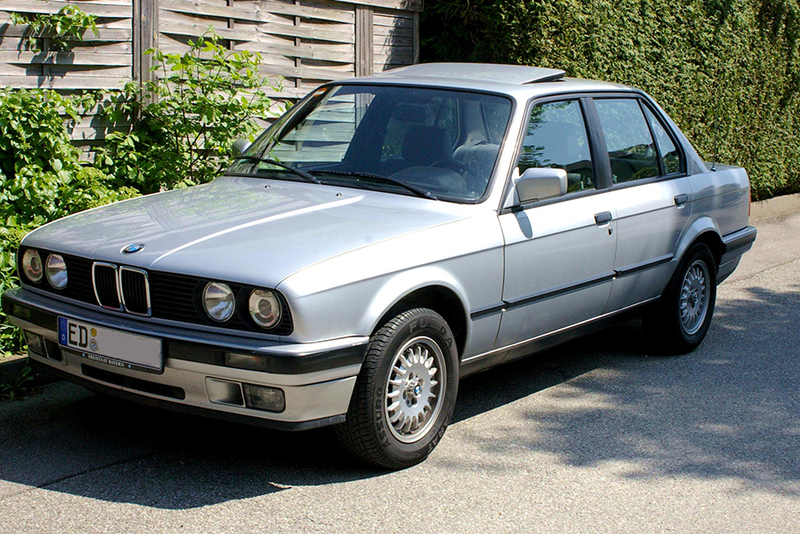 Intended to be an entry point for buyers, the E30 more than served its purpose for years after its initial release. The E30 is probably most notable for how versatile it was. For example, the E30 came in different body types, from a two-door or four-door sedan, to a convertible and touring styles. 1985 saw a few minor changes to the E30’s design, most notably changes to both the interior and exterior trims. A diesel engine was also introduced. Depending on the model, the E30 came with a four cylinder or six cylinder engine. The mid-1980’s were the peak years for production of the E30, with hundreds of thousands of units being produced. The E30 was well known for being practical and roomy for its size. The ride quality was aided by the suspension, which featured MacPherson struts. The E30 never were the fastest models that BMW produced, both in top speed and acceleration, but the M3 iteration went on to become one of the most successful racing cars of all time.